Jump into the cockpit as a Rebel pilot and master space combat in a fully immersive virtual world, with Star Wars™ Battlefront™ Rogue One™: X-wing VR Mission. 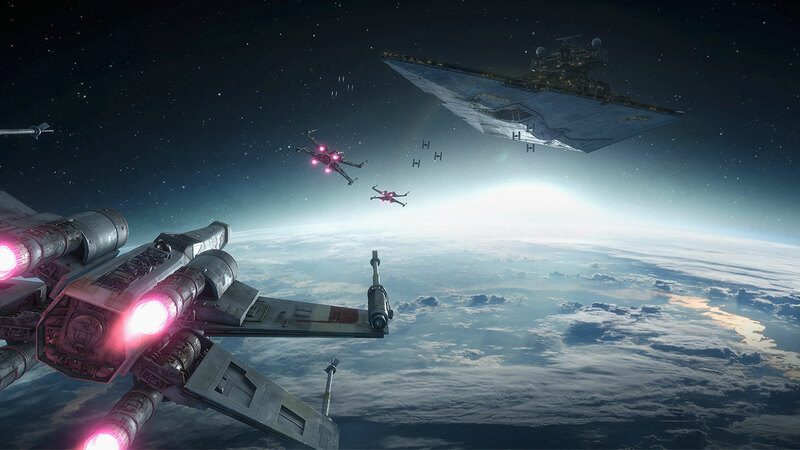 Related to the upcoming film, Rogue One: A STAR WARS Story, players will find themselves dog-fighting through the far reaches of space. Put on your helmet and immerse yourself in 360° space combat from the cockpit of an X-wing. Join your squadron in a jump through hyperspace to rescue a ship in distress, as you carry out an important mission for the Rebellion. Arriving exclusively to PlayStation®VR this holiday, it is free* for all owners of Star Wars™ Battlefront™. * Requires Star Wars™ Battlefront™ for PS4™, PlayStation®VR and PlayStation Camera (all sold separately). STAR WARS © & ™ 2016 Lucasfilm Ltd. All rights reserved. Game code and certain audio and/or visual material © 2015 Electronic Arts Inc.